Promoting the importance of interior design in code impacted environments. Providing current & relevant educational opportunities for our members. Developing professional and social networks for our members. Mentoring students and young designers. Communicating regularly and effectively with our members. 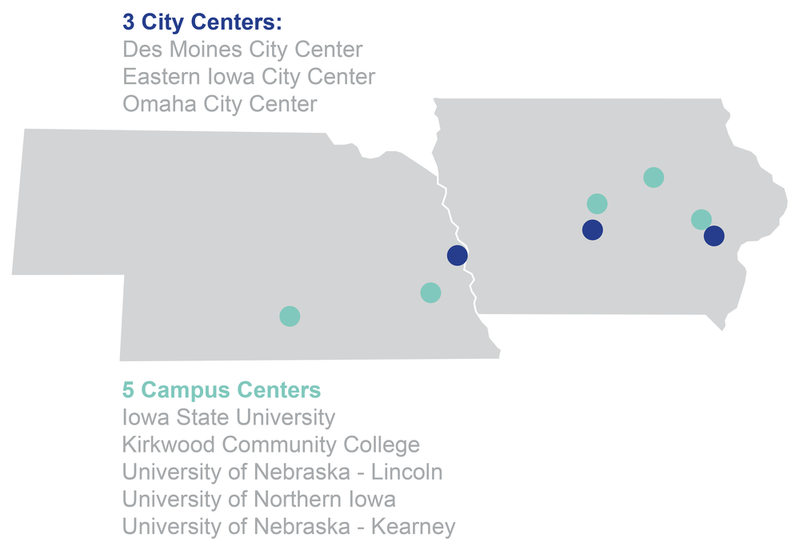 Fostering connections between City and Campus Centers for a unified Chapter. Supporting local philanthropic efforts in alignment with our mission. Acknowledging member achievements through the newsletter and website. Recognizing excellence in design at our annual design awards. The Great Plains Chapter is comprised of Iowa and Nebraska, with members living and working throughout our 3 City Centers. We are dedicated to helping our members pursue knowledge, create social networks, establish legislation, and volunteer within the community. The Great Plains Chapter cultivates an environment that encourages excellence in Interior Design.